Meze Audio’s prototypes of two new IEMs – I can’t wait to try the final product because they sound really good already. 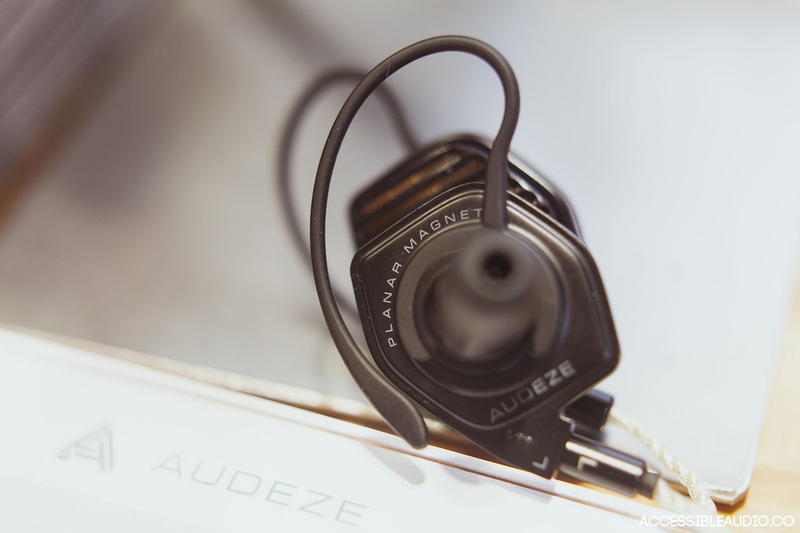 I also finally tried their renowned Meze 99 Classics over ear headphones. Read on to get my impressions! 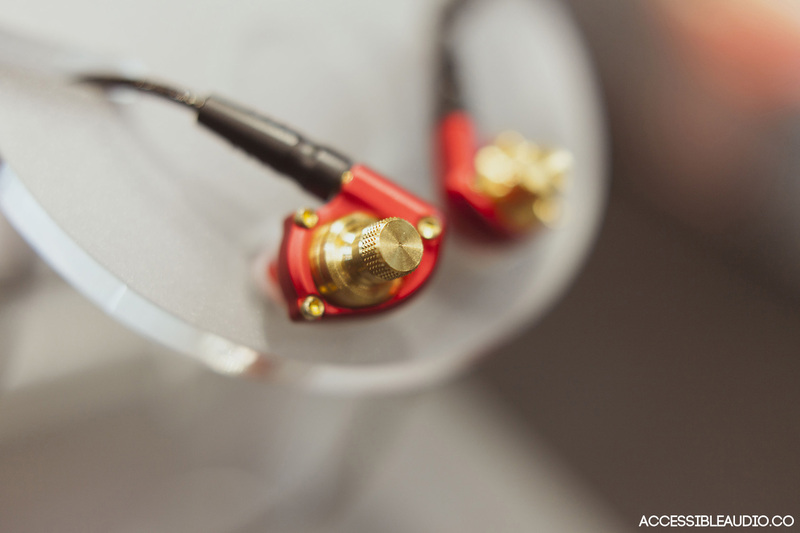 Campfire Audio released their latest IEM product the Polaris at the day off the expo. It’s the second of their hybrid designs (the first is the Dorado), but has a configuration of 1 dynamic driver and 1 balanced armature driver instead of 2. Aimed squarely at a midrange segment of the audiophile market, it’s going to cost you 599USD to get one of these. I only spent a brief time with the Polaris at the ECT booth since I didn’t want to hog them for too long as there were tons of people at the event but it was enough to get a good idea of what these sound like. Cerakote coated, CNC aluminium milled with a 3D printed nozzle, with a striking high contrast blue and black design, the Polaris features the same angled form as the balanced armature lineup like the Andromeda and Jupiter, with the only difference being the nozzle which is slightly longer and rounder at the base. I did not know what to expect in terms of sound – Campfire Audio has been very good in terms of not cannibalizing their own products – every design has its own very different but enjoyable sound signature no matter the price point. When I put the Polaris into my ears, I was met with a new CA experience again. The warmth of its sound is most evident – the dynamic driver brings a deep, lush bass sound as well as a rich midtones, while the balanced armature takes effortless care of the high frequencies in a slightly rolled off, smooth fashion. Stay tuned for our detailed review of the Campfire Audio Polaris in the coming weeks! 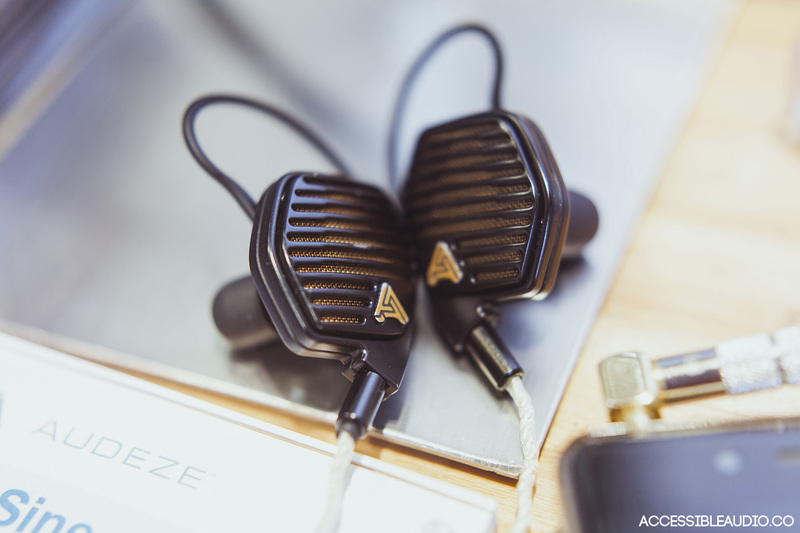 I was eager to try out Audeze’s LCDi4, the latest iteration of their planar magnetic in ear designs, as I had not had a chance to try the iSine10 and 20 before. The entire concept of these planar magnetic in ear designs has to my knowledge never been done before so I definitely had to try these. My first impression was that they sounded like open back cans (headphones). Everything felt very open and spacious, and the imaging of instruments was much less inside the head compared to normal earphones/IEMs. Unfortunately, the expo conditions weren’t ideal for testing these as they do suffer in terms of the isolation department, but they did sound very good regardless. It sounded very neutral overall, without any notable boost to any frequencies and had a good sense of ‘air’ around everything. I did feel a certain dryness in its timbre, but that may simply be because I am too used to the relative warmth and intimacy of traditional in ears. I can see people getting the LCDi4 for traveling and use in quiet conditions if they prefer the sound of open back headphones but find that they are too bulky and clumsy to bring around. This was my first time getting to try out Clear Tune Monitor’s products. I had seen their Vintage Series on Instagram a lot but never had a chance until now. First thing to note – they were very comfortable. The design is inspired by retro 1950’s American chrome cars, and it does look very unique. I tried the VS-2 and the VS-4, and was very pleasantly surprised by the warmth and smoothness of these multi driver balanced armature designs. The VS-4 has a very tight, clean bass sound with great lower mids detail retrieval. It has an overall mid detail focused sound, with a smattering of highs to round it all off that I found extremely enjoyable. I thought that it was amazing for vocals, as it had a very warm, intimate sound that is very comforting and laidback. A surprising part for me was that it did not have the sharp, mechanical edge to the sound that many balanced armature designs have. Highly recommend this. For a dual balanced armature deisgn, it still sounds very natural. Like the VS-4, it has a tight bass sound, but less intimate and warm mids compared to the VS-4. However, it still has that same warm Clear Tune Monitor Vintage Series sound that doesn’t sound like a typical multi BA design. Acoustune is a little known brand from Japan/Hong Kong, but they’re definitely one to watch out for. Having tried their HS1004 (yeah, not exactly the most fun model names) once and the prototype of the two models below, I was really excited to find the final versions of these earphones. The HS1004 sounded really good for its price point, and the prototype I tried last year also had a very solid and clean bass impact along with good soundstage. 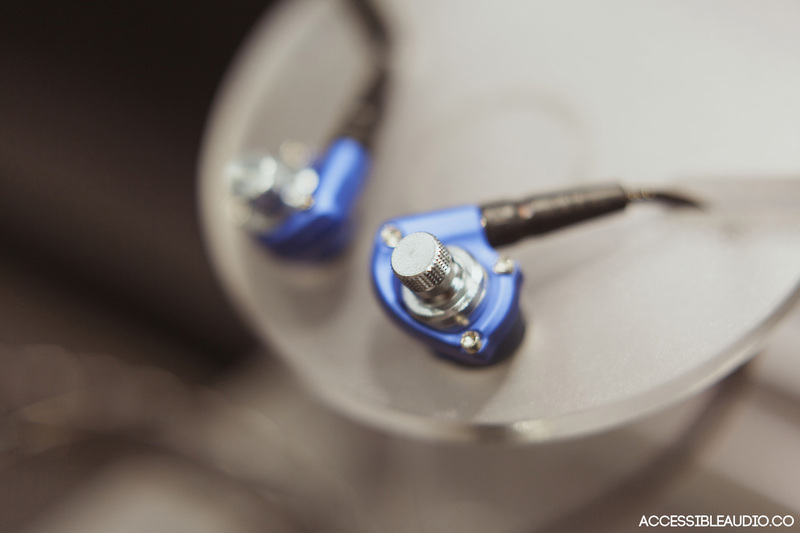 Acoustune has always stuck to dynamic drivers as the one true design to deliver the best sound, unlike many other brands that have gone on to use multiple armatures. Also, the HS1501 and HS1551 look like awesome futuristic, mechanical pieces of equipment and feel super well built. The 1551 even has Iron Man’s colours! First impression of the 1501 – a very warm, round deep bass sound, with a decently wide soundstage. However, I thought the bass was ever so slightly bloated, leaking over into the mids a little. Highs were rolled off, so overall it has quite a dark sound. The 1551 seemed to have tighter, lighter bass impact than the 1501AL. I enjoyed this more overall as the lows and mids weren’t so thick and gooey compared to the 1501. It had good timbre in the mids, faster mid response and nice sense of soundstage as well. Overall they sounded promising, and I really want to spend more time with these to get a detailed review, if for nothing else but for their slick design. We reviewed the qdc 3SH, one of qdc’s earlier products a few months back and we all agreed that this unknown Chinese IEM brand should get more recognition. The 3SH gave sparkling renditions of vocals for a relatively reasonable price and with only 3 drivers. Many of their other offerings are also extremely competitive in terms of value for money. They released their most expensive product, the Gemini, last year. An 8 driver design with an adjustable bass response toggle switch, I tried it for a few minutes at this year’s expo. The bass toggle offers the user the option to boost it by around 2dB, so it’s not a magic switch that will turn it into Beats mode, but something more subtle but still noticeable. Sonically, it sounds incredibly cohesive, smooth, and detailed. Perhaps a little too smooth sounding and polite for me. I would rank it on par with some of Nobles’ high end designs in terms of multi driver cohesiveness and balance, but it might lose out to the K10 for me as I prefer a more aggressive, energetic sound. However, the Gemini has laser-like precision in the accuracy of imaging and reproducing details, especially in small textural details and high frequency micro details. Soundstage is quite spacious as well, so this is something that I would highly recommend as well for the discerning listener. Meze is a small audio company from Romania, best known for their headphones the 99 Classics. I had an opportunity to review the Meze 12 Classics last year, which was their first foray into the world of in ear designs. While the wood and aluminium housing design and build quality were excellent, the cable microphonic and slightly bloated mid-frequency sound left much to be desired in my mind. With that in mind though, I did finally had a chance to try the Meze 99 Classics headphones at the expo and all I could say was wow. It’s a superbly well designed portable headphone made of premium materials with a classic look. The sound is probably one of the most natural sounding in I’ve tried in terms of headphones – bass is not bloated or boomy and has just the right amount of impact to keep it fun, vocals are well balanced and it’s just an overall great product. Moving on to the Meze prototype IEMs, Antonia Meze (the founder of Meze Audio) gave me a chance to try out the 2 new designs (the matte metallic and glossy metallic ones are different; see above). The current builds are made out of aluminium; Antonio has mentioned that they may be trying different metals such as stainless steel, which may affect the sound at the end. Meze said that they are trying some sort of planar dynamic drivers in these – I hope to get more details from them once they are released in October or November this year. Holy crap – this had MASSIVE, immersive sounding bass response. I don’t think I have heard many other earphones quite like this – I would say it rivals even the Campfire Audio Vega in the bass department. It’s less exacting, while feeling like it surrounds your head more. It is very warm sounding, with a great sense of soundstage. Instruments and vocals are not recessed either, and high frequencies not too bright either, so it seemed to have somewhat of a W-shaped tuning but rolled off toward the highs. The glossy design is the complete opposite to the matte metallic one in terms of sound. This sound was much brighter and had a more balanced tuning overall, with quite a neutral quantity of bass. It was more ‘metallic’ and analytical sounding, with more edge to the reproduction of the sound, and more extended highs. Honestly, a little disappointed at this product considering the other excellent products Fender/Aurisonics have put out in the past. 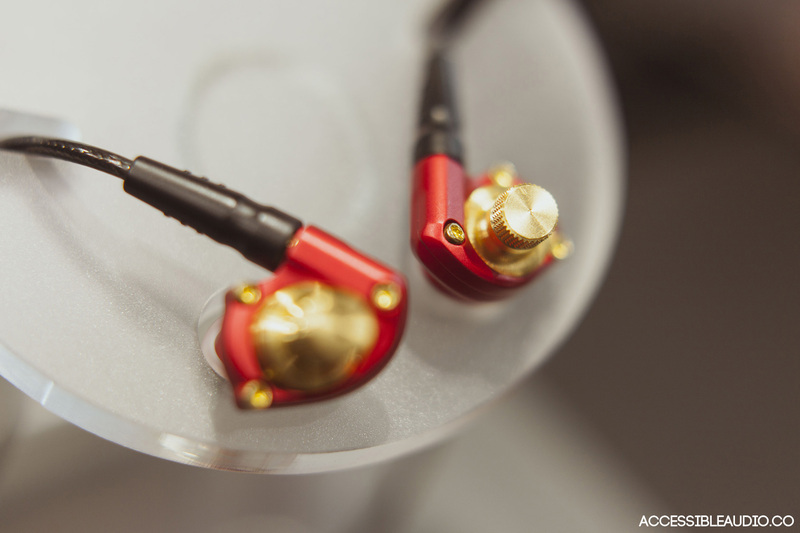 The CXA1 is a single micro dynamic driver targeted more at the entry-level market at just under $1000 HKD. It was much too dark sounding for my tastes, and the bass was too loose and boomy, so I put this down pretty quickly. I was slightly disappointed at the LS300 and LS400 products, since they have been placed at a higher tier compared to ATH’s other products as they go for $3000-4000 respectively. Neither of them sounded particularly analytical or very exciting in my humble opinion. The LS300 had an uninspiring sound with quite a strong but boomy bass, muddiness in the low-mid frequencies, and even some coarseness in the high frequencies. The LS400 had a similar tuning with emphasis on the low-mid frequencies, with rolled off highs. Bass impact is tight, and it was adept in bringing out small textural details, but unfortunately did not excite me very much emotionally. However, I did enjoy the dual-symphonic driver LS50, and would recommend that to someone looking for a budget option similar to the highly acclaimed IM50.